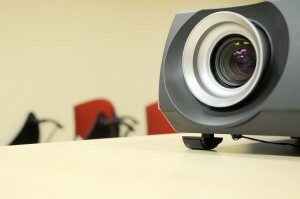 Video content is huge and video listings are the key to more leads. You may be asking yourself, “Should I hire someone or shoot the video myself?” The answer depends on what type of video you plan to shoot, says Inman. According to a recent study by the National Association of Realtors and Google, “The Digital House Hunt: Consumer and Market Trends in Real Estate,” community videos rank as the most sought-after content on YouTube. For evergreen videos like community tours, Inman says a full-service production company should professionally film your agent profile or company commercial. The investment is worthwhile for any video with a relevant shelf life of two to three years. For other types of video, hire a freelancer or do it yourself (more on that later). Finding videographers on sites like Craigslist can be iffy. A better choice is the marketplace section of WellcomeMat.com because they specialize in real estate. ALWAYS ask for their most recent work samples. One freelancer may be great with testimonials, yet not as experienced filming a home tour. After viewing their demo reels, narrow down candidates to your top picks. Then ask your candidates for references on the specific samples they sent you. This helps to weed out anyone who isn’t being honest about their work. When you call a reference, ask them to describe exactly what role or function the freelancer was responsible for during the shoot and make sure they’re as specific as possible. Once you narrow down your top two or three videographers, ask each of them for a detailed proposal listing all included services. Beware of lowball prices. And don’t forget to ask for proof they’re bonded and carry insurance. Someone has to pay for any damage to your client’s home. And it shouldn’t be you. Don’t forget to contract for two rounds of revisions. The first should include up to 10 changes. The second, up to five. Stand strong on payment terms: 50 percent upfront, the balance paid after you’ve approved revisions, or whatever works best for you. There are plenty of online resources at your fingertips if you plan to do it yourself. ReelSEO offers comprehensive do-it-yourself tips from lighting and sound to editing. HDhat has an online store with the latest apps, equipment and gadgets specific to real estate videography. They also provide very affordable editing services for raw footage you provide.